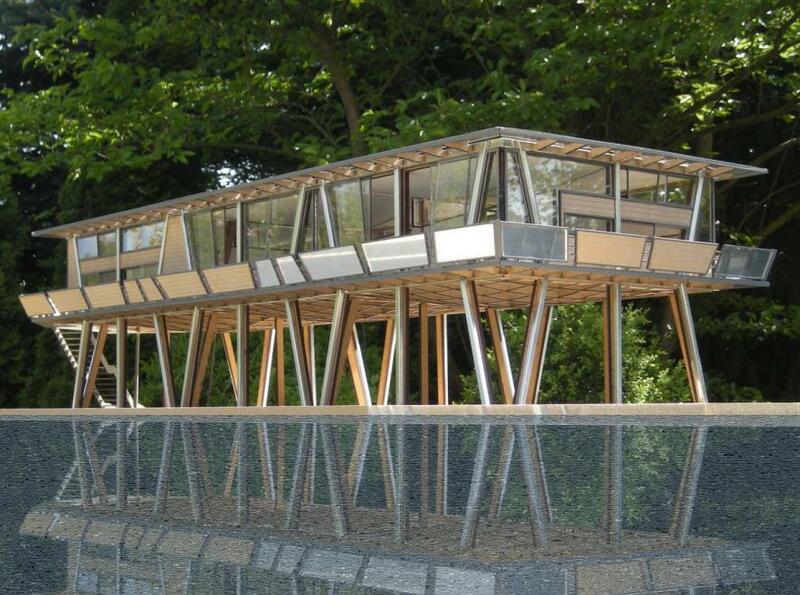 The CNC House is an innovative comfortable and sustainable country house. The House is build from one or more modules measuring 8x8 m. The modules are also suitable for offices or apartment buildings and can be stacked. This project researches ways to fabricate and construct modular architecture that is luxurious as well as affordable. By researching the way nature makes use of material in relation to dealing with applied forces HenningMade a module that is both contemporary and elegant. The patented construction stiffens when loads are aplied. By reducing the amount of material needed for the construction and by making the module suitable for prefabrication using CNC-machines the costs are reduced. 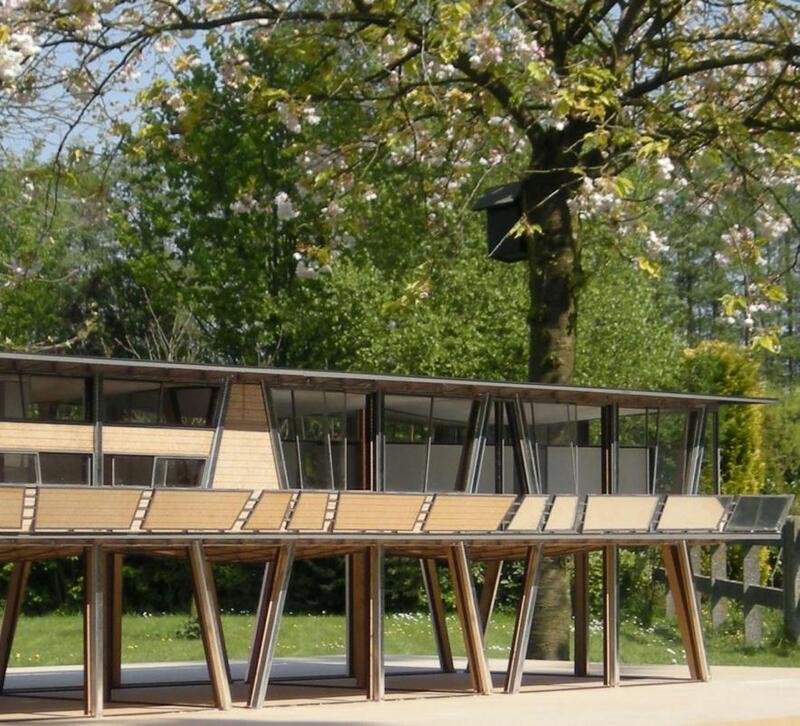 The prototype shown here was developed for Landschapspark Van Gogh, a rural development in de “Brainport” region around Eindhoven. The module can easily be adapted to you personal needs and aesthetics. For more information please contact me.